When it comes to Rachel Brosnahan's style, she knows how to likable looks. She hit the red carpet this evening(October 2nd) for 'The Romanoffs' world premiere at the Curzon Mayfair. 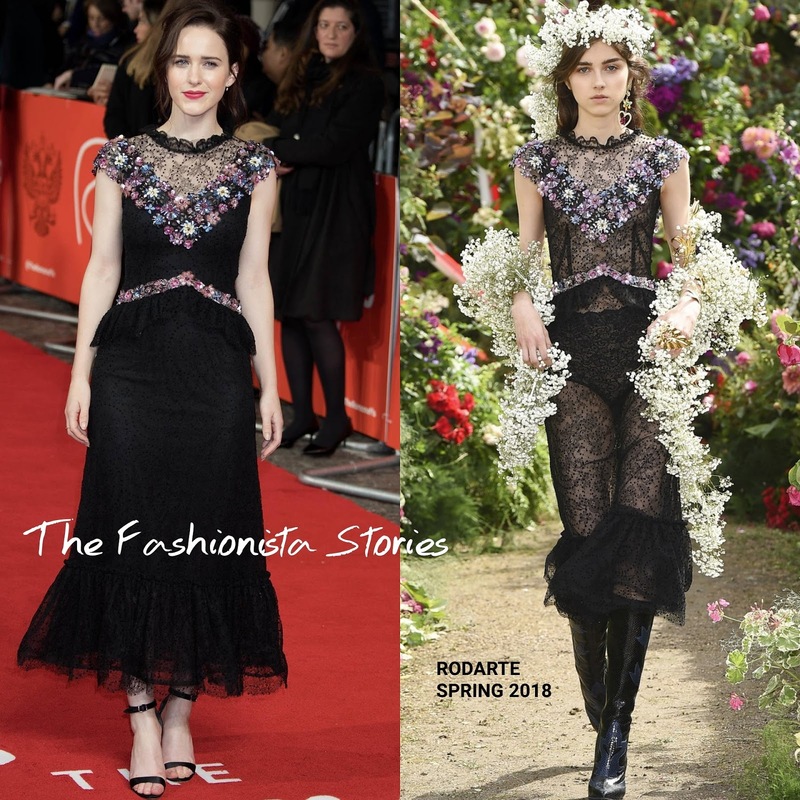 She stepped out in a RODARTE SPRING 2018 black ruffle beaded floral & lace embroidered peplum dress. Rachel's dress came down the runway unlined. However she made romantic floral & feminine lace dress a winner by adding lining. An up-do, pink lips and black sandals finished up her look. Do you prefer Rachel's lined version as well?